A planner’s plan for Louisiana’s wildlife areas; among “resilience officers” shock and stress are in the job description; Dirk Sijmons parses energy landscapes; and remembering Bill Callaway of SWA Group. Among the short-lived opossum’s many defenses are an ability to destroy ticks and turn back a viper’s venom; plus, pawpaws, the native smoothie on a tree. The genius of the century-old Miami Conservancy District in Ohio is that it pairs flood control and land protection without politics. Landing Studio turned a Massachusetts salt port from an obstacle to an attraction. Kids are right to be a bit scared at new playgrounds designed by Taylor Cullity Lethlean and James Mather Delaney. It’s good for them. On a green roof at the Chicago Botanic Garden by Oehme, van Sweden, plant failure is as important as success. Mia Lehrer + Associates’ new garden at the Natural History Museum of Los Angeles County is a paean to nature the city has lost. 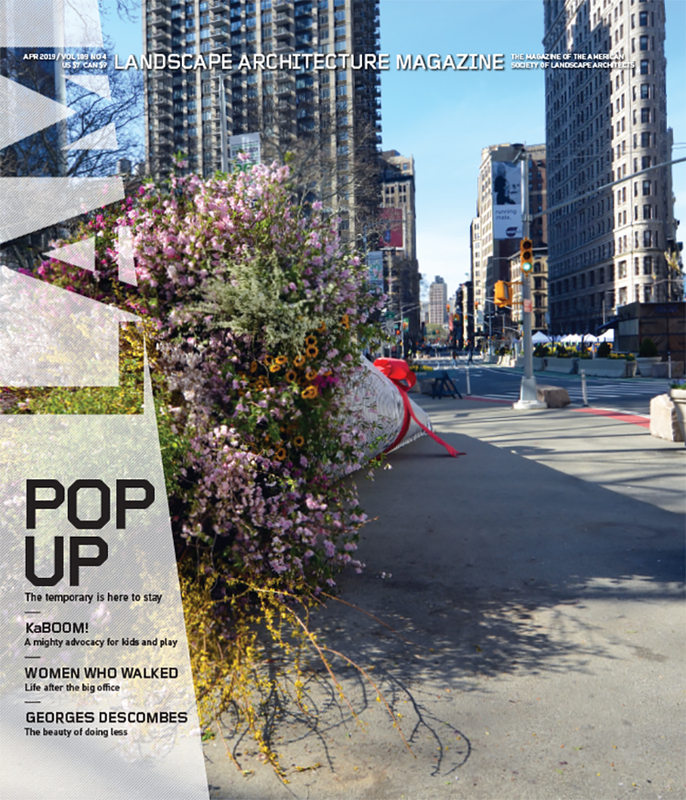 Tactical urbanism for megacities at MOMA. Strategy would help. A review of Tree Gardens: Architecture and the Forest, by Gina Crandell.